I write our newsletters a few days early in the hopes to have them out to you in time. Thus, we’re a few days before Halloween and I thought I’d repost some scary house stories. Michelle Goldchain, originally published January 7, 2015. "Last Halloween, we published three horrifyingly true stories from real estate agents. Despite raccoon carcasses and a naked woman, many of our readers found the stories to not be horrifying enough. Because of this, many decided to supply their own stories, definitely one-upping the ones we had. We compiled the 10 best stories from our readers, unedited and untampered with. We're unsure of just how "true" these stories are, but if you're looking for spooky stories to read at night, then these should help keep you up. If you think you can one-up these stories as well, feel free to add your own experiences in the comments. Read them all here …"
Price includes interior, exterior renovation and landscaping costs. 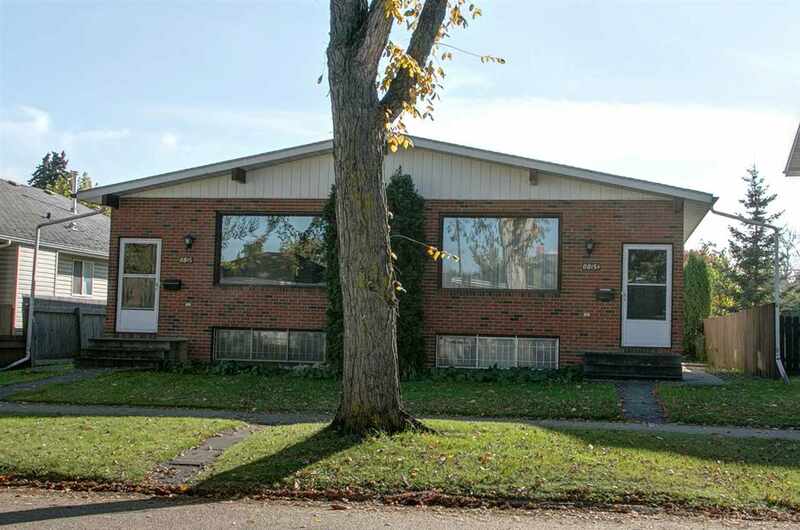 Great, soon to be 4-unit bungalow, 10 minutes from downtown; a winner to add to any portfolio. 1978 German built, well maintained. Terrific access to local amenities in mature Bonnie Doon. As part of renovation package; all new appliances, shingles, flooring and suite upgrades. This property will have 2 X 2 bd suites added down. Plus 2 X 3 bd on the main. Features oversized double garage and pad. This property has a tried and true layout and is built to last. Purchase price includes reserve fund and large reno conversion costs to make the property shine! Renovations always present as a 10/10 on quality and style. This is a turn-key deal. Excellent access to U.O.A and downtown and in the highly rentable and desirable neighbourhood of Bonnie Doon. Comes complete with great tenants making this a totally turn-key property for you. Bonnie Doon is a sought after mature neighbourhood that is convenient for tenants working downtown and attending U.O.A. HUGE upside potential due to the great purchase price, strong economic fundamentals and the proximity of this property in relation to Edmonton's desirable growing core. A year ago, RMS Builders joined a star-studded cast of promising junior firms when it was named the fastest-growing builder and the second fastest growing company in Canada. The honour was bestowed on the low-profile, Edmonton-based general contractor and real estate developer by Canadian Business magazine in its annual Profit 500 rankings. RMS earned the spotlight by generating 2014 revenues of more than $30 million, up an eye-popping 15,000 per cent over the previous five-year period. RMS has built its business one small step at a time, on bread-and-butter projects such as suburban hotels and car dealerships. Although he’s more folksy and plain spoken than his predecessor, Bank of Canada governor Stephen Poloz doesn’t exactly peel the paint off the walls when describing the feeble state of the economy. Like any central banker, Poloz speaks in code, doling out highly nuanced, carefully worded tidbits on manufacturing, housing, exports, investment and other key aspects of Canada’s $2-trillion economy. As a mechanical engineering technologist who’s been stuck in the boom-and-bust cycles of oil and gas, I’ve come to realize that it’s time for a change. We need to create a more stable and diversified future. My work experience has taught me that much of what the industry has been doing is both short-sighted and unnecessary. Albertans and other Canadians affected by the latest commodity bust deserve a more stable economy — and that’s within our reach.